Inspire Pro – Premium Bootstrap 4 Admin and Dashboard Template. 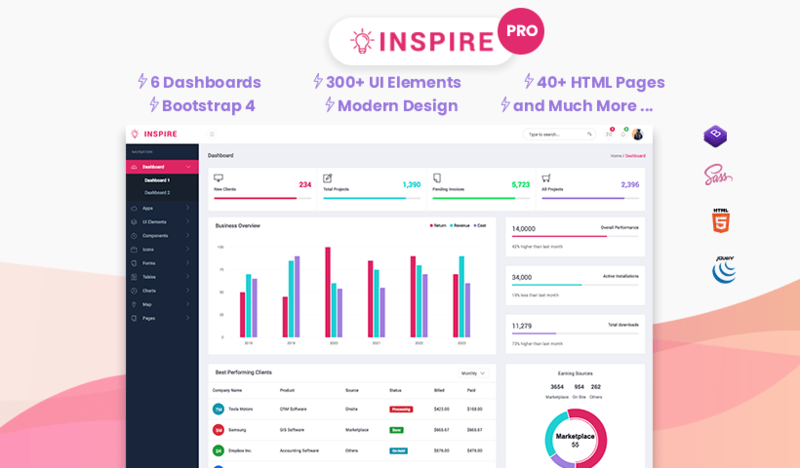 Inspire Pro is High-quality Admin Template Which Comes with Modern Design, 6 Different Dashboard Variations, 300+ UI Elements, App Pages, Essential Addons, Tons of Chart/Graph Styles and Almost Anything You Need to Build a Next Generation Dashboard/Admin Panel. Inspire pro version is the best template that has been curated only for the purpose of creating the admin panel and dashboard of a website/Back-end. The fully responsive layout gives you better control at the website, and extra powerful features of the Inspire provides you with the ability to build an effective UI with all necessary elements. 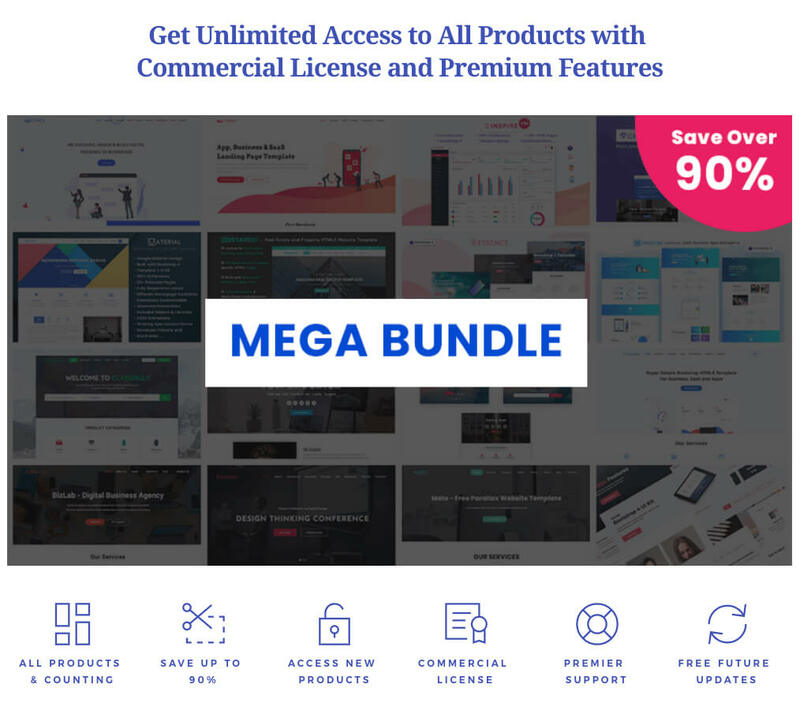 The cutting-edge technology provides every developer with liberty to craft your website any way that you want. Being the control room of the website, it should be flexible and responsive than any other part of a website, and Bootstrap 4 provides the right technological support to make that possible. The more UI elements, the better interface a website can have. The pro version of Inspire is equipped with more than 300+ UI elements which provide a vibrant experience to all developers who are seeking a new admin panel template. Cards, list, typography are some of the pro UI elements that come along with Inspire admin panel template. Now you do not have to okay with just one kind of dashboard anymore. With the Inspire pro version, you can have six different dashboard experiences that will lighten up the whole control room idea of a website. Flexibility is one of the essential features a website’s admin panel should have, and the Inspire pro version makes that a dream comes true with more than 40 HTML pages at your disposal. On the top of every other necessary admin template features, Inspire pro version also gives out different charts such as Flot Chart, ChartJs and countless icons, tables and forms for you to use. Along with these, the pro version also has an extra vector map option too.